I want to make this as a baby quilt for a friend. How much yarn does it take of each color? That would be SOOO helpful to know. Hi, I will thank you for the lovely pattern ! Hi! I saw the rings pattern on Ravelry and thought that I would pop on by and tell you how nice it is. I saw this lovely pattern for the puffed rings blanket on Ravelry but when I try to print it from your pattern dowload, it will not print, message says – file is damaged and cannot be repaired. Is this a problem on your end or mine? I really love this so I hope this is not a big problem. 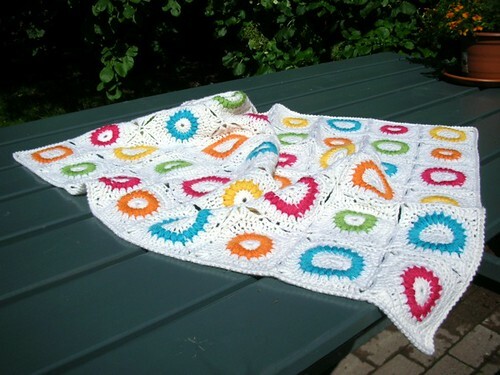 I saw this lovely pattern for puffed rings blanket but when I try to download this from your pattern download, it will not download – message says – “file is damaged and cannot be repaired” Can you help please?